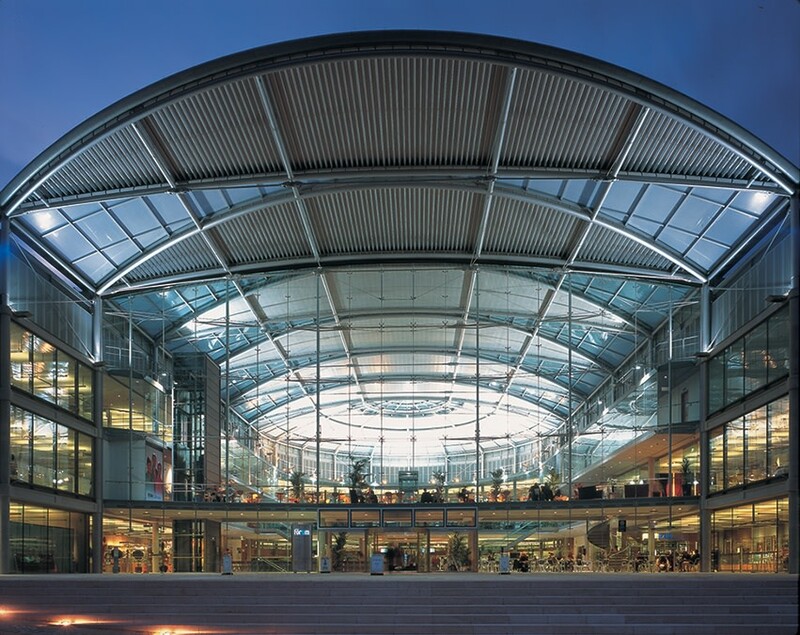 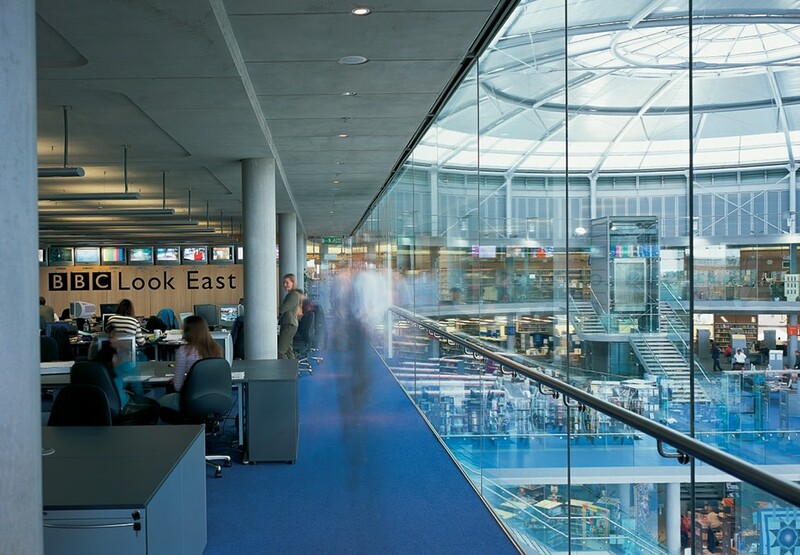 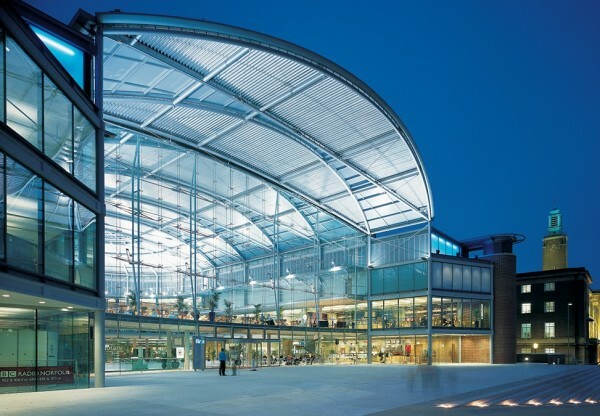 After a fire destroyed the Norwich Library in 1994, a millennium project was initiated to re-house it, together local visitor and business centres, a 'Heritage' exhibition and shop, bar and restaurant and the local BBC station, Look East. The old library site was combined with the adjacent car park to form a complete city block surrounded by civic buildings. 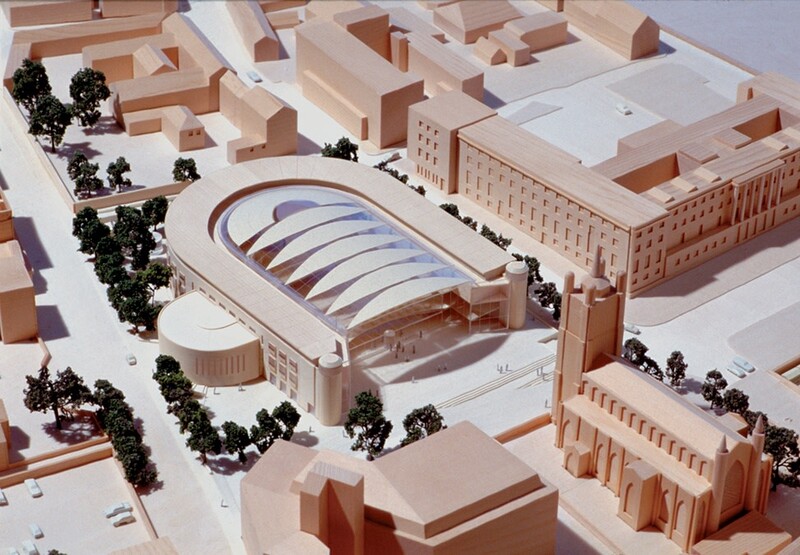 The Forum is conceived as a courtyard surrounded by a three storey, horseshoe-shaped enclosure of loadbearing brickwork, which accommodates the various activities on a series of balconies. The courtyard roof is supported by bow-string steel trusses forming leaf shaped panels, infilled with acoustically absorbent material or glazing. 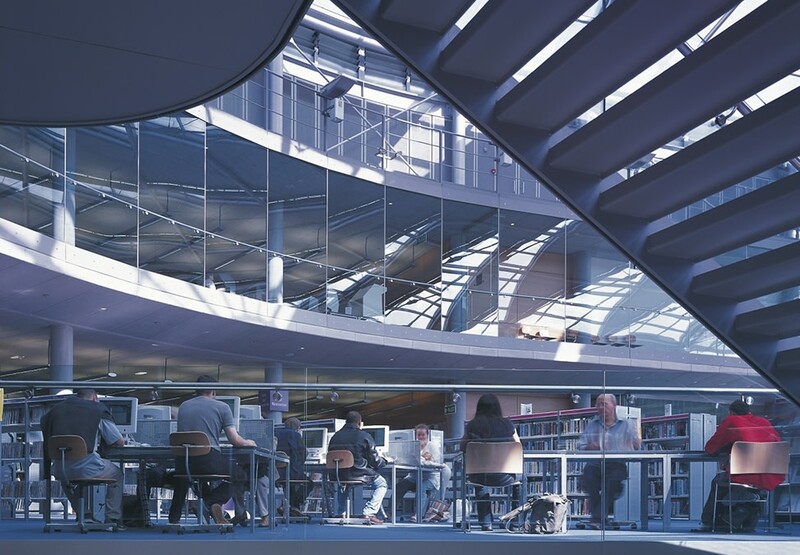 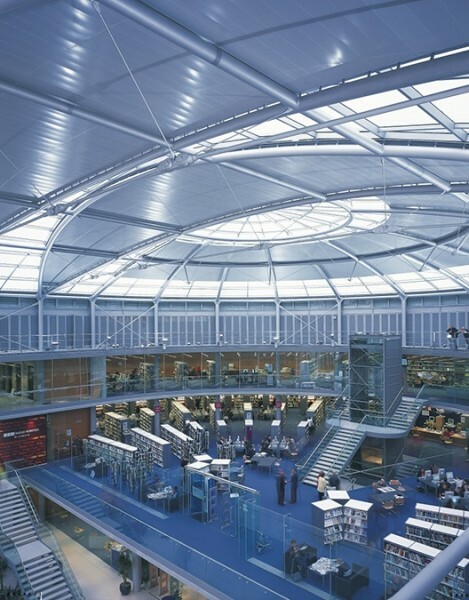 Light enters into the heart of the building, creating a dynamic public atrium. 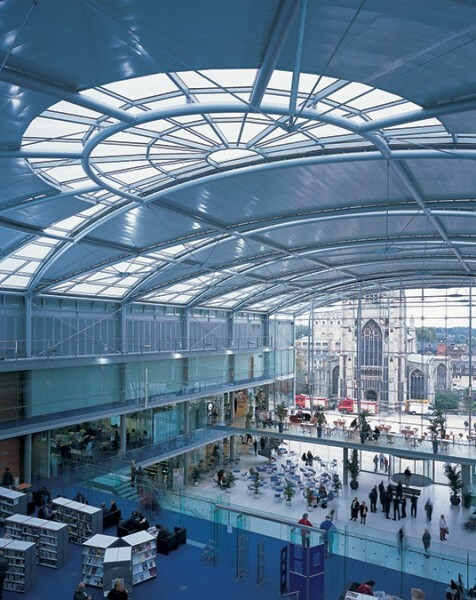 The key sustainable strategy is the use of the building mass as a 'passive' environmental modifier and the introduction of 'active' building engineering systems to assist the fabric in recycling ambient energy. The Forum has already established itself as a focus for city activities. 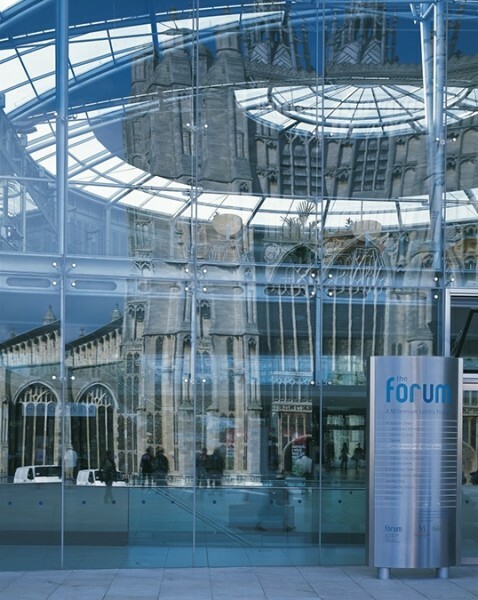 Its spectacular glazed end wall frames the Gothic church tower of St Peter Mancroft, welcoming the city in and forming a major new public space in the forecourt.